The Dancehall Governor Lt. Stitchie is back! 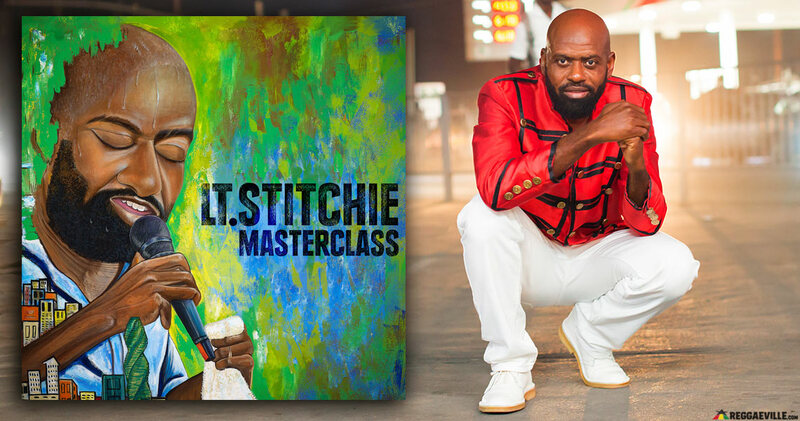 Nine years after his last album (Serious Message - 2010), a new Stitchie longplayer entitled Masterclass is scheduled for release on April 12, 2019. Reggaeville was granted a full album preview and we can confirm that it was worth the wait: 17 tracks featuring guest artists Lukie D, Agent Sasco, Ricky Stereo, Million Stylez and Fantan Mojah! The first single, Angels Surround Me, will be out this Friday (January 11, 2019) accompanied by a new video. Stay tuned! The majority of the Riddims were produced by Manudigital. Additional Riddims by Pascal Barro, Irie Ites, Craig McDonald & Mistah P. Marchal. Label: X-Ray Production, Executive producer: Lt. Stitchie. Masterclass is Stitchie's 22nd studio album. He will present it this summer on the stages of European festivals alongside the beatmaker Manudigital.